Your Toes-in-the-Sand Piece of Paradise - Best in Class! Gorgeous Southwest End Unit on the Sand w/ Wrap-around Lanai for Nightly Sunsets. Hear the Waves, See the Dolphins Play.Light-filled three bed great room plan with almost 9-foot ceilings. Rarely Available Private Garage Included. Totally renovated in classic coastal style, this beachfront condo is move-in ready, including furnishings with a sophisticated beachy vibe. Sure to impress are the marble floors, granite topped SieMatic cabinetry, top-shelf stainless steel appliance package, rich crown moldings, and then some. 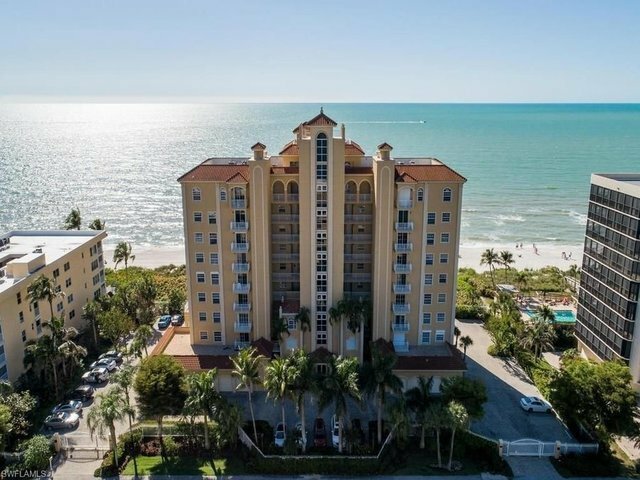 Hurricane shutters on all windows and sliders!Sea Chase is a sought-after tower on Vanderbilt Beach, with just 31 units, gated grounds and ample lobby-level guest parking. Pet friendly too! Located between La Playa and Ritz Carlton beach resorts, residents love its walkable location to beachfront dining, the movies, or a night out at Mercato.